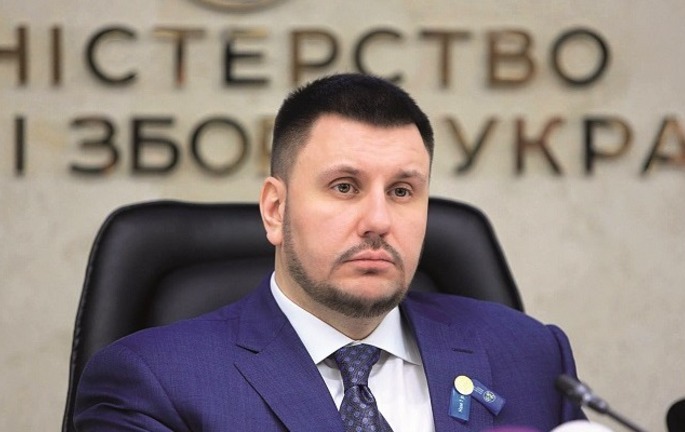 7 questions about resignations in fiscal service and about budget filling ⋆ News ⋆ Official website for Oleksandr Klymenko. On March 24, Igor Bilous – the Head of the State Fiscal Service – resigned. The main reason was dismissal of the leadership of SFS during official investigation, initiated by Arseniy Yatsenyuk, the Prime Minister. Numerous complaints of businessmen on corruption caused the investigation. “Reporter” inquired results of the agency’s work. 1. The whole leadership of SFS has resigned. What are the reasons for these processes? It is related to the results of activities of Mr. Bilous as the Head of SFS. VAT refund was transferred to the manual mode. Thanks to the VAT-accounts, working assets of enterprises has been washed out. Enormous amount of income tax overpayment has been accumulated. Implementation of mechanisms of control over transfer pricing that could attract billions into the budget from pockets of oligarchs has been sabotaged. 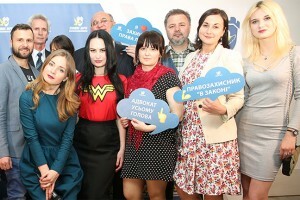 Monitoring center does not operate, and it was the only way to fight against corruption. Lustration will not help here. Leadership of Odessa customs has changed eight times during the last year. However, the corruption has not gone anywhere. The system of revenue and duties​ has pull down. Its restoration will require appointment of a strong leader, who would be able to confront interests of different parties. If such person is appointed, I will say that the situation has a chance to change for the better. 2. Do the results of the first two months demonstrate that the government will be able to execute the revenue part of the budget? Execution of the plan of income tax and rent payments in the first quarter will become an important indicator. Taking into account the decline in production and intensification of a conflict of power with the representatives of big business, which control oil production, will fall short of at least 15% by the end of the year. 3. How do measures, which were proposed by the Cabinet of Ministers, can be carried out: Single Social Contribution privileges, new import tax, sales tax? It is an imitation of reforms. Let’s take, for instance, SSC privileges. The main aim – to bring salaries out of the shadows and to attract investors – is correct. Due to the fact, how it is implemented, it will achieve the opposite effect: employers will not be able to execute the requirements, enabling them to enjoy privileges. For the real support of enterprises, it is necessary to reduce charges and to introduce additional conditions, for instance in a year, when the economy will, possibly, begin to recover. 4. In coordination with the IMF, taxation of pensions, cuts in pensions for working pensioners, the increase of rent payments were included into the budget. Will these measures help? They are devoted not to the development, but to saving money. This will only allow delaying the peak of the crisis. What is more, most of the measures are against the interests of Ukrainians. Nowadays, decisions about pensions are criminally asocial. In the latter memorandum with the IMF, there are no direct instructions concerning changes in taxation of pensions. By the way, actions of the government are aimed at its squeezing from vulnerable segments of the population. However, it is necessary to pay attention to wealthy people, big business. It comes about transfer pricing and tax on wealth. These measures would have helped to fill the budget and would have reduced social tension. Thus, they do not want to introduce these measures. Or they are not able to do it. 5. If the budget is not executed due to taxes, what solution does the government have? A part of the external loans and financial help from lenders are aimed at covering the budget deficit. However, in case of nonexecution of budget revenues, such measures as sequestration and instruments of concealed emission will surely be applied. In case of actual devaluation, emission will have a negative effect. Sequestration will allow to execute the budget, but will lead to further curtail of the economy. 6. What is the grade of increasing or decreasing of shadow economy? It has increased, definitively. This is not only reaction to uncertainty, but also the result of chaos in the system of public administration. What are the reasons that would facilitate economy deshadowing? 7. What measures are required to fill the budget and to launch the economy? Fight against corruption, reduction of public spending, deregulation and liberalization, stabilization of banking market, plan of economy rising through public contracts in defense industry, construction and capital-intensive industries. However, all these reforms must be introduced as a complex. And one more thing: money likes silence. The investment will not go to a country, where redistribution of property is bordered by showdowns in the action movies style.